Discussion in 'Warranty Extensions' started by OishiiJPN, Jan 5, 2015. You can check the status of any LSC on your Toyota here. Enhanced Warranty Coverage for Excessive Oil Consumption on the following vehicles.. In Toyota's continuing efforts to ensure the best in customer satisfaction, Toyota is launching a Limited Service Campaign (LSC) ZE7 to repair excessive oil loss (consumption). Toyota has received some reports where vehicles may exhibit excessive engine oil consumption. This Warranty Enhancement Program will be launched in two phases due to current production limitations. Initially, Toyota will inform Owners that they may seek reimbursement consideration for previous repairs top address excessive oil consumption. 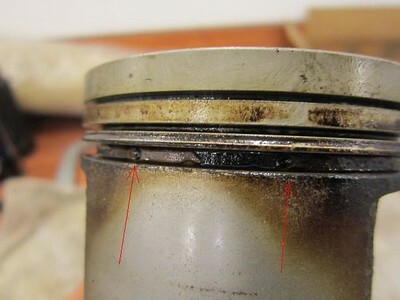 Additionally, Owners will be advised that if they believe their vehicle has excessive oil consumption, they can contact an authorized Toyota Dealer to have the engine oil consumption test performed to determine if they will be eligible for future part replacement once sufficient parts are available. Once sufficient parts are produced, Toyota will send a second Owner notification letter informing them that they may seek part replacement if their vehicle has excessive engine oil consumption. The Primary Coverage offers warranty enhancement until October 31, 2016 regardless of mileage. The Secondary Coverage is applicable for 10 years from the (DOFU) Date Of First Use or 150,000 miles, whichever occurs first. This is not a Recall, it is a warranty enhancement. What should you do if you experience this condition? Please contact you local Toyota Dealer for appropriate diagnosis and repair at no cost to you. What if a customer has already paid for this repair? Include your name, address, and telephone number(s) in your request. Please allow 6 to 8 weeks to process your request. I own 2007 Toyota Camry 4cyl le . how come I never rec'd letter on oil consumption? am I still eligible to get it fixed? I'm not sure why you did not receive you letter but at least you know about it now. The first step is to schedule and appointment with your local Toyota Dealer and have an oil consumption test performed. This test is performed in two parts and the technician will fill out some paperwork along with this test. The first visit the technician will top off the oil level to the full mark, put some tamper resistant marks/tape on the engine drain hole, dipstick and oil cap. He/she should fill out a form with all you information and attach that to the repair order. You should then return to have the oil consumption checked within 1100-1300 miles. Anything over this mileage will void the test and they will have to start over. On that return visit they will see how many quarts of oil that you engine used, record it and again fill out some paperwork. If you passed then that's the end. I think you get two chances to prove that your engine uses more than the 1.2qts per 1000 miles. Of course, if your engine failed, it would be fixed. As of right now, I think the parts are not available. and forth until the parts are made? I would say no. The threshold for the repair is if the engine is burning more than 1 quart in 1,200 miles, which your engine is. 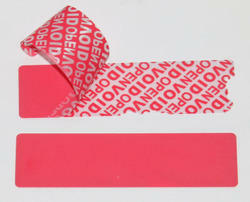 The parts are available now but keep in mind that they may be on back order for the first few weeks. What did the service adviser say for you to do? 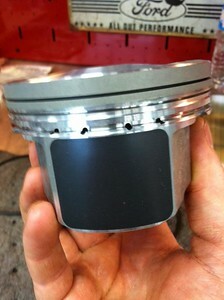 I ask because the parts (pistons) can't be ordered until the engine is torn down and inspected. The pistons have a mark stamped into the top and are labeled sizes A,B and C.
The service department said that this will be phase 2 and to come back at 1200 miles. Also they not sure what is going to happen when I come back as the parts are not available at this time so I would have to wait and see when Toyota would have the parts. So what do you recommend for me to do? I would recommend that you continue to work with your Dealer and follow their instructions. Make sure that you retain all the documents, like the repair orders, and keep them safe. If after the next 1,200 mile visit you are still not satisfied with the way that they are handling this, then you will want to contact Toyota 's Consumer Help line (1-800-331-4331) and open up a Case. Toyota will give you a Case # and contact the Dealer on your behalf to see what can be done to help get this repair performed promptly. Just remember that it is best to remain calm and nice to people in these tough situations as it will go a long way in getting this resolved. After reading your TSB concerning Toyota's acceptable guidelines of 1 quart of used oil per 1200 miles has sealed my lifetime boycott of all Toyota products. Anyone with knowledge about engines knows that a well designed, well tuned engine doesn't burn ANY oil, much less a quart every 1200 miles. I'm in the market for a new car and Toyota is no longer "in the hunt" if you get my drift. I did the oil consumption test and i was wondering when can i go for the fix ? When will toyota start repairing for oil consumption recall? You should set up an appointment with your Service Adviser at the Toyota Dealer who performed your oil consumption test to have the repair performed. The parts are available now. You will first need to have the oil consumption test performed and show that the engine has failed the test. I did the oil consumption test as followed @ 1,200 miles and Toyota consider this passing. In order for Toyota to fix the problem it has to be 1,000 miles or less. The service department at my local Toyota dealership, that I have an excellent relationship with, felt my pain of this embarrassing situation and told me to contact the Toyota's Consumer Hotline. When I contacted the Consumer Hotline they seemed to not care about my problem as if they wanted to throw me under the bus when specially I demanded to get this problem fixed. I have bought Toyotas in the past and never experienced this before. This is the kind of situation that will ruining my loyalty to Toyota and hurt my friendship with the local Toyota dealership. I had this same problem before when I bought a Volkswagen Jetta, after that mess I have no desire to look at Volkswagens again. I'm sorry to hear that this has happened and just want to add that the threshold for the repair is that your engine use more than 1qt of oil in 1,200 miles. I do know that you have two chances to prove (i.e. Toyota will pay for the test to be performed twice) that the engine is burning oil in excess of the limit. I would suggest that you wait till the concern gets worse and maybe try again. I have done Oil Consumption test on my Toyta XB once before the notice and once with the notice. I disagree with the test my 2008 Scion XB uses way to consumes way to much oil I hav never had a car this way. It needs to be fixed ASAP at your cost It loses oil way before 1,200 miles. Hi Wendy. While we are not affiliated with Toyota in anyway, we are fans of the vehicles just like you and are sorry to hear that this is an ongoing concern. I see that you disagree with your oil consumption results, what were the results for the both times you had your Xb tested? Do the results show that your engine uses more than 1qt of oil per 1,200 miles? I have a 2009 Toyota Matrix S that suffered an engine loss due to low oil. I got the notice for this about 2 weeks after it happened. I contacted Toyota and they got in touch with my normal dealership and upon speaking to them I had my car towed so they could determine if this issue caused my engine failure. The dealership told me they would evaluate the engine. There was some delay since this was the first time they had to look into this problem AFTER the engine had failed. They told me they had the procedure from Toyota and I should bring it in to get started. I was told that if the failure was caused by that problem they would fix it. If not, then I had to pay a $110 diagnostic fee and get the motor replaced there or at my other shop. They then said that they had a technician looking at it. All the sudden I get a phone call saying that I would just need to produce my oil change receipts dating from when I bought the car and that they could not continue to evaluate the engine until I brought them the receipts and that it would cost more than the $110 to evaluate the engine. It cost me $140 to get it towed there and I feel like they told me enough to get me to take the car there and then are trying to stick it to me. I have two questions. Is this oil change receipt history common when dealing with this issue and has anyone else been told to do this when getting the evaluation done? Is this oil change receipt history common when dealing with this issue and has anyone else been told to do this when getting the evaluation done? Yes it is as is ownership for the past year. Now having said that, I am speaking of what has been done in the past with other warranty extensions like the oil gelling campaign. This helps prevent people from searching Craigslist and buying these cars just to get a new engine put in and then resell it at a profit. As for is this going on now, I personally haven't had one yet. All the ones we have performed we already set up and just waiting for parts to become available. My guess would be that you would have to show oil change receipts for the past year and that should suffice but that's just me. Are they suggesting that the engine be torn down and inspected at your expense? Do you have oil change receipts for at least a year (every 5,000 miles)?